Example of a great looking dual banner setup – Patriotic on one side and Branding on the other – thank you to our very happy client! › Who We Are › Our Blog › Example of a great looking dual banner setup – Patriotic on one side and Branding on the other – thank you to our very happy client! 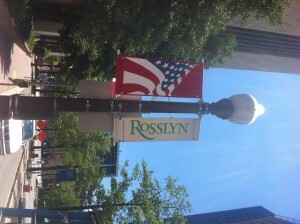 A pic of some great looking dual banners sent to us by a very happy and patriotic client! Have you installed your patriotic banners for the July 4th holiday yet?